Imago Techmedia recently announced the launch of the first annual Cyber Security Chicago conference and exposition. The event will take place from October 18-19, 2017 at McCormick Place in Chicago. This is the first show the U.K.-based event group, which has attracted big-name speakers, such as Steve Wozniak of Apple and Eugene Kaspersky of Kaspersky Labs, will host in the United States. Imago Techmedia hand-selected Chicago because the city has one of the largest and most diversified economies, not to mention a booming cyber market that is expected to grow significantly in the coming years. The show will feature emerging insights from security experts on how attendees can prevent and recover from a cyberattack. Sessions will focus on everything from endpoint management to encryption and threat intelligence solutions. Security and information technology (IT) professionals are encouraged to attend for an opportunity to network with visionaries and practitioners who are changing the face of the industry. One of the highlights of the two-day showcase will be the Cyber Hack — a special session featuring live hacks and demonstrations from world-leading experts. 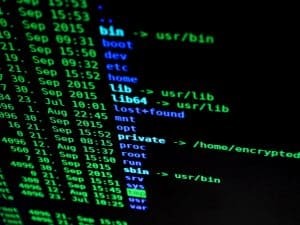 This technical deep dive will include a series of demos on the techniques hackers and pen testers use to break into corporate and government networks. For more information, visit www.cybersecurity-chicago.com.